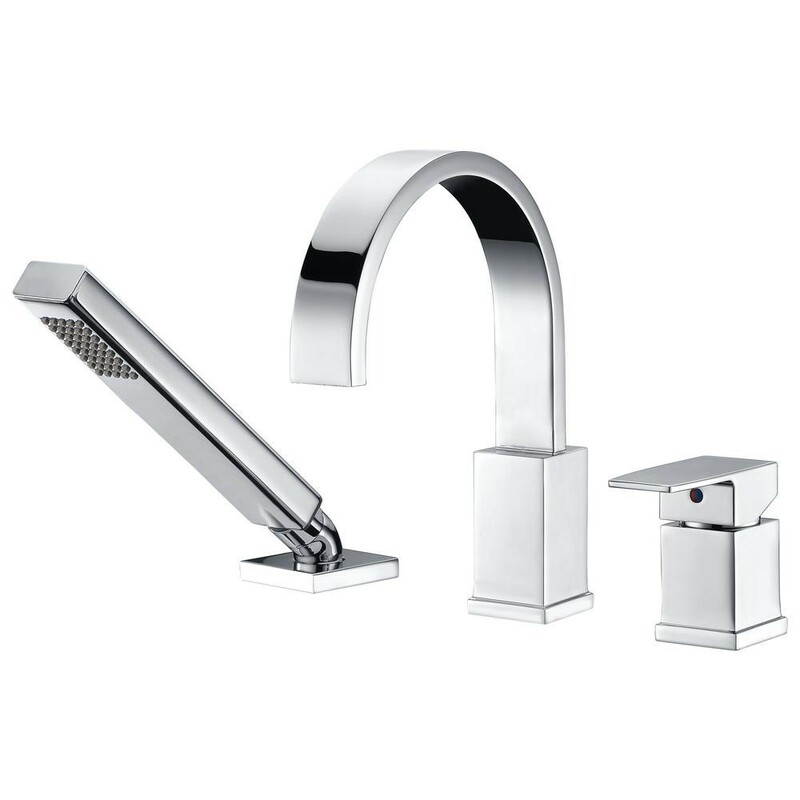 Can I have a wand installed in tub in addition to a 3-hole faucet? I have a new tub being installed that takes a deck mounted faucet. I found a faucet I like which is a two handle, 3-hole type. However, it would be nice to have a wand mounted on the deck as well. Is it possible to add it? How do I control the water temperature on the wand if it is not integrated with the faucet? In order to have an integrated wand attachment you have to have an integrated wand setup if you only have three holes there are options available. If you're set on the fixture that you found it may provide much trouble to add a wand attachment. Try looking up the part number for the one that you have and see if there's an attachment available for it. Retrofitting a third-party wand attachment depends highly on the configuration of the faucet that you have in mind. Not the answer you're looking for? Browse other questions tagged plumbing bathtub plumbing-fixture or ask your own question. Can I hook up under-sink water filter to sprayer outlet on faucet?